FLEE Plus IGR Carpet Spray's combination of three active ingredients provides a quick knockdown, a residual insecticide to continue killing the emerged adults and an IGR to stop the flea cycle for seven months. This carpet flea spray is not only effective against fleas, but will also kill Brown Dog Ticks, Lone Star Ticks, Mosquitoes, Roaches, and other listed insects. FLEE Plus IGR Carpet Spray is an indoor insect killer for carpet, floors, and furniture.This 16 oz. can treat up to 2,100 sq.ft. 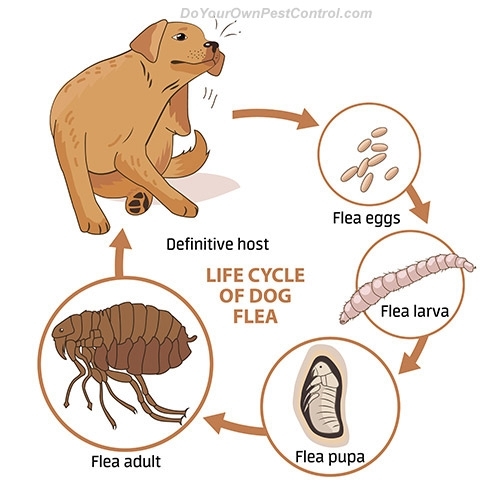 You may need to repeat treatment in 2 weeks if flea population is severe. Martin's FLEE Plus IGR Carpet Spray should be applied where fleas are present or where your pets have brought in flea eggs. Typical areas include carpets, rugs, upholstered furniture, pet resting areas and pet beds. The fleas will lay eggs and develop into larva, then pupate and finally emerge as adults. As they emerge in a treated area, the fleas will be killed by the insecticide, and it will stop the flea cycle from continuing for up to seven months. It takes 4-6 weeks to cut the cycle in a treated area completely. Remove old pet bedding, and replace them with clean bedding after treatment. Cover fish aquariums before use and remove pets and birds. Vacuum carpeted areas and other treated areas before treatment and after treatment after allowing it to dry. Directly spray the area to be treated holding the can at arm's length about 3 feet (36 inches) away from the area to be treated. Apply with a sweeping motion. You can treat a 100 sq ft area (10 ft x 10 ft) in 10 seconds. Do not use this product directly on animals, but use a registered product labeled for pets. Remove pets, birds, and cover fish aquariums before use. Do not enter or allow others to enter the treated area until sprays have dried. 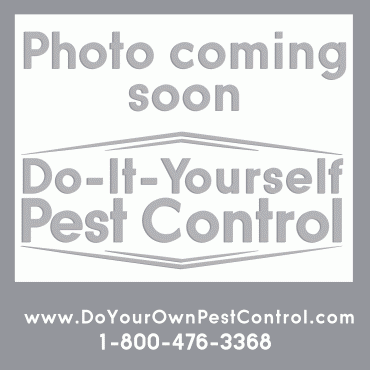 Adult Fleas, Ants (except Carpenter Ants, Fire Ants, and Harvester Ants), Black Widow Spiders, Brown Dog Ticks, Crickets, Firebrats, German Cockroaches, Lone Star Ticks, Mosquitoes, Rice Weevils and other listed insects. Apartments, Homes, Hospitals, Hotels, Motels, Offices, Schools, Supermarkets, Warehouses, Utilities, Veterinary Clinics, Kennels, and Other Commercial and Industrial Buildings. EXCEPT FOR APPLICATOR, DO NOT PERMIT HUMANS OR PETS TO CONTACT TREATED SURFACES UNTIL THE SPRAY HAS DRIED. A 16 oz. can treats up to 2,100 sq.ft. Vacuum carpeted areas and other areas being treated before treatment and post treatment after drying. Hold can at arm’s length and direct spray toward the area to be treated. Use a sweeping motion to apply product and back away from treated area while holding the can 36 inches away from the area being treated. An area of 100 sq. ft. (10 ft. x 10 ft.) can be treated by spraying across the area for 10 seconds. Vacate treated areas during application up until the spray has dried.